The Apex™ series chair is a modern and ergonomic design with a shape that is contoured to provide maximum comfort throughout the day. The seat has a contoured back that is shaped and angled for sitting upright or in a slightly reclined position. The front edge of the seat is swept downward for productive over the desk task work. The stylish shape allows freedom of movement, functional support, and a great value. 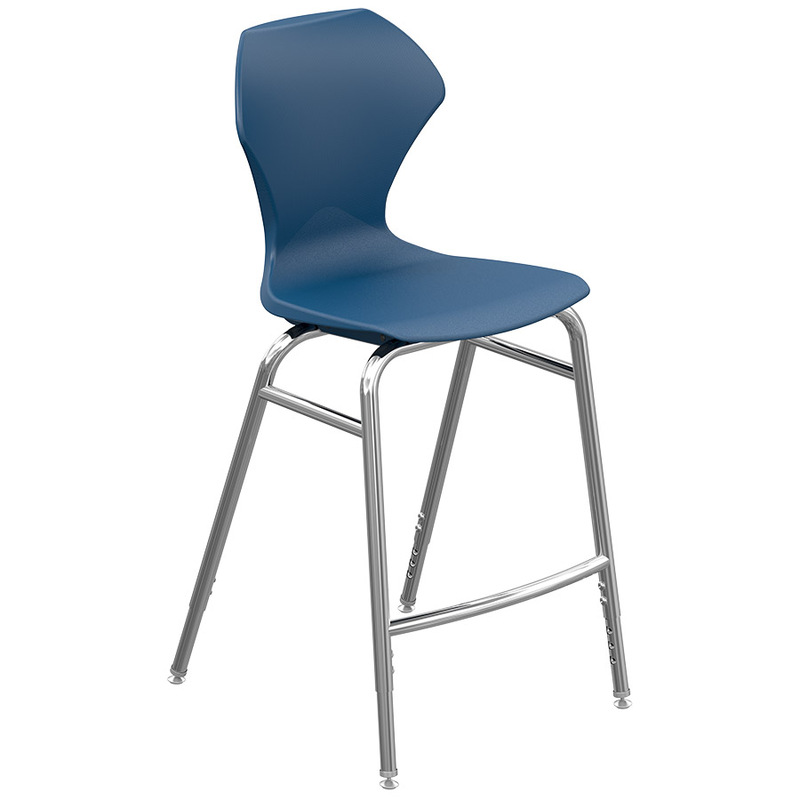 Apex™ series chair on a tall 11/8” tubular steel frame with a chrome finish. Stool has a sturdy foot rest for leg comfort and nylon swivel glides. Legs are adjustable in height from (24-28 inches). Available in the 4 basic seat colors with chrome legs only.